Several hundred visitors flocked to the parking lot of Our Lady of Guadalupe Catholic Church and Flagstaff Nuestras Raíces to attend the second annual “Flagstaff Summertime Tardeada” fiesta on Saturday, June 27. The Tardeada, a vibrant afternoon festival and social dance celebrating Flagstaff’s Hispanic culture and community history, drew even a larger crowd than the 500 visitors who attended the 2014 event. 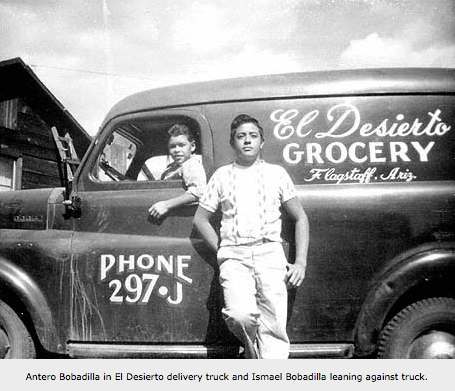 The church is a significant site because it was the pride and centerpiece of the Hispanic community when it was built in the late 1920s by Flagstaff Hispanic pioneer families, who had strong bonds to the church. The entertainment stage featured Ballet Folklorico de Colores – Flagstaff; dance music presented by Grupo Fierro of Tucson; Desierto de Colores Ballet Folklorico de Holbrook; Flagstaff Artists Unidos featuring Alena Chavez, Monico Nunez, Steve Carrillo and Tim Valdez; Compania de Danza Folklorica Arizona from Tucson and the showcase group, Mariachi Sol Azteca from Tucson. 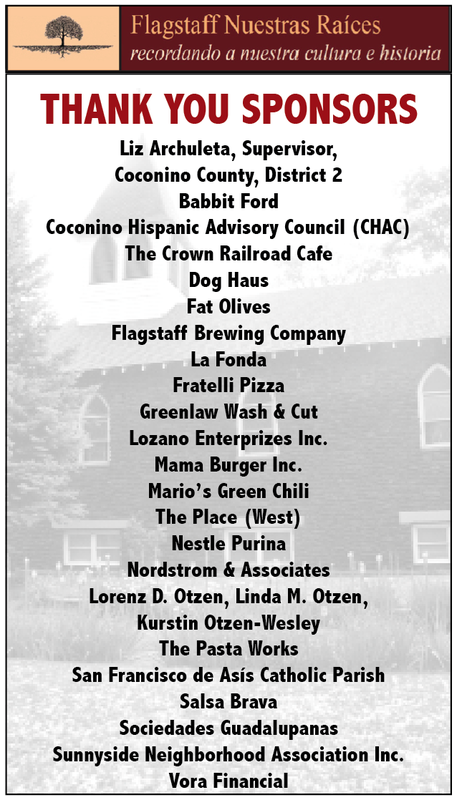 Flagstaff Nuestras Raíces extends its heartfelt thanks to the record number of sponsors to who came out to support this year’s Tardeada.